The Concrete Flooring Blog | Home & Business Flooring. Tips & Advice For The Everyday Consumer. Home & Business Flooring. Tips & Advice For The Everyday Consumer. Unpolished concrete is a durable material that’s been used for flooring in industrial plants and warehouses for a long time. Although conventional concrete is tough, it also comes with several disadvantages that can end up costing more money to maintain in the long-term. Polished concrete is a cost-effective alternative that provides a number of advantages over unpolished concrete. The surface is smooth, dust-free and very easy to keep clean. In porous, unpolished concrete, tiny dust particles from within push through to the top, leaving a fine dust on the surface of the floor called efflorescence. The dust is not only messy to walk on, but it can also damage the existing epoxy coating on a floor, leading to costly re-coating or repairs. Dust from unpolished concrete flooring is difficult to clean and the dust settles on everything in the room, not only the floor itself. Dust accumulation can cause equipment and machinery to malfunction. The hard surface resists damage and staining from heavy machinery, tires and foot traffic, saving money on floor maintenance and repairs. The reflective surface of the concrete creates improved lighting in a room and prevents the need for additional light sources. Additionally, the smooth surface is non-abrasive and won’t damage the tires of a car, or aerial lift. The concrete doesn’t require the ongoing reapplication of sealers and waxes either, which reduces long-term upkeep costs for the floor. Unpolished concrete requires periodic stripping of the old wax and sealer for re-coating. Conventional concrete is also very abrasive surface, which causes damage to tires on lifts and vehicles. Polished concrete is beautifully smooth and often mistaken for marble. The sleek look makes it a versatile choice in a number of settings including homes, offices, schools, retail stores and industrial factories or warehouses. The concrete is also a popular material for walls and counter tops in a kitchen, not only flooring. Unpolished concrete is rough, non-shiny, very hard to keep clean and lacks the marble-like beauty of a polished surface. Whether you’re it commercially, or in a residential home, there are many concrete design ideas and color options to choose from. Through acid-based staining, or concrete dye, a homeowner can totally customize the concrete to mimic granite, terrazzo, marble and even natural wood. The most popular choice for a home is the marble look. While the material is used a lot in industrial plants, it’s also frequently installed in bathrooms, kitchens and pool areas. 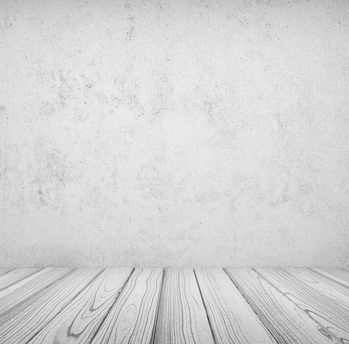 With conventional, unpolished concrete, there aren’t any color options, which means you’re stuck with the drab, ugly gray color. Conventional concrete is typically used only in industrial settings and warehouses. Although the surface of polished concrete is smooth, it isn’t slippery. In fact, polished flooring meets OSHA safety standards for commercial use. For added slip protection though, it is possible to treat polished flooring with special anti-slip conditioners to make the concrete even safer. The anti-slip conditioner improves traction when the concrete is wet. During the process of decorating your home, there are a number of elements that have to be considered. Besides the furniture, the paint, the window coverings, and other elements, you also have to choose the right flooring. The flooring can really complement the rest of your decor, and have a major impact on the way that the room looks overall. If you are confused about how to choose the right flooring option for your room, here are a few factors to consider. Although you are definitely interested in getting a floor that looks great with your decor, you need to first think about the function of the room. If you’re decorating a major high-traffic area, putting a soft, plush carpet in the room may not make much sense from a practical standpoint. Instead, you may want to go with a hardwood floor, tile, laminate, or vinyl plank flooring. With this type of flooring, you won’t have to worry about traffic wearing down the surface, and cleaning it up will be easy. Another factor for you to consider when choosing flooring for a room is the style. There are so many different styles of flooring out there, and some of them are more appropriate for your decor than others. For example, if you are going with a very modern, contemporary look, you wouldn’t want to install a rustic hardwood that would be better suited to a cabin in the woods. You need to choose a style of flooring that fits the decor the best. The color of the flooring that you choose is also another factor that has to be evaluated closely. Typically, when you choose a darker flooring option, it will make the room seem smaller and more cozy. If you choose light-colored flooring, it really opens up the space, and makes it look bigger overall. Depending on what you want the room to feel like, the color you choose to have a big impact on the room. Although you may have aspirations of getting a particular type of flooring, it may not be in the budget. For instance, you might like the idea of getting a new bamboo floor installed, but the price is a bit prohibitive. In this situation, there are other options to consider besides going with the real thing. In fact, there are numerous faux options that look just as good as the real thing. Unless someone gets down on their hands and knees, they won’t be able to tell the difference. For instance, you could get a laminate or a vinyl that looks like bamboo instead of getting the real thing. This could potentially save you thousands of dollars, without having to sacrifice the look that you want. If money isn’t that big of an issue for you, then get the real thing. However, if you are on a limited budget, there’s nothing wrong with getting one of the fake options to simulate the real look that you are going for. Concrete is one of the easiest surfaces to clean and maintain, but it still requires regular care to stay in top shape. Although it’s a very tough and durable material, concrete can crack or become covered with mildew if it’s not properly maintained. Once cracks start to appear in the surface, the condition of the concrete can worsen and become relatively expensive to repair. Fortunately, preventing cracks and growth on concrete surfaces is very easy. Following a few simple maintenance tips can help you keep your concrete floor smooth, clean and even through every season. Sweep your concrete floor on a regular basis, especially if it’s in an area that gets a lot of foot traffic. If the surface accumulates a lot of dust and small debris, use a vacuum cleaner to keep it tidy. You can also mop the floor, but be careful not to leave too much moisture behind. Stagnant water can cause mold and mildew growth, so it’s important to keep your floor as dry as possible. Using a broom and brush or mop with a mild cleaning solution is usually enough to keep interior concrete surfaces in good shape. Outdoor areas like your driveway or patio can be cleaned with a water hose or a pressure washer. If you don’t own a pressure washer, you can rent one from a local home improvement store. Stains can make your concrete floor look old and unattractive. You might have to try a few different cleaning solutions before you can completely remove stains and other imperfections, but it’s possible to lift them if they are superficial. Bleach is one of the most effective solutions for cleaning spots and stains on concrete surfaces. Try scrubbing the stain with a strong brush after covering it with bleach for 15 or 20 minutes. You might have to repeat the process a couple of times until the stain fades or disappears. Tire marks can be removed with a degreaser. Leave the degreaser on the stain for a few minutes, but don’t let it dry. Use a scrub brush to remove the tire marks, and clean the area with a hose or a mop. Actively working on preventing damage to concrete is just as important as cleaning it on a regular basis. Concrete is a strong material, but it can become damaged over time if it’s not properly maintained. The best way to protect exterior concrete surfaces from damage and cracks is to cover them with a concrete sealer that should be reapplied every two or three years. Concrete areas that get a lot of traffic can be resealed every year. You should also apply sealer to concrete surfaces in your basement or in other areas that are prone to dampness or flooding. If you notice mold or mildew, remove it immediately with bleach and water. It’s possible for concrete floors to get scratched, so remember to use floor mats when working and rubberized wheels when moving furniture. Polished concrete is a high-gloss finish that is achieved by utilizing specific floor polishers fitted with diamond embedded abrasive disks which grinds down surfaces to the desired level of smoothness and shine. The polished concrete surface is very low-maintenance and can be stained to look like polished stone. Homeowners, retailers, hotels and restaurants, warehouses, schools and medical facilities, office buildings, and auto show rooms are the places where you will find polished concrete. There are many benefits to having polished concrete floors. Homeowners are choosing polished concrete for their floor finish due to the benefits polished flooring offers over other types of floor coverings. Decorative concrete in the form of polished concrete floors provides great value for a home and it is very attractive which enhances the home. Polished concrete is beautiful and shiny. By smoothing and revealing the aggregate in the concrete, it displays a polishing design that has a natural stone appeal that looks elegant and expensive. It is available in a wide variety of colors and designs making it ideal for people who want a want a natural and functional look. There is a lower lifetime costs associated with having polished concrete floors. This is in part due to low maintenance and durability. In very high traffic areas especially hallways and corridors, polished concrete floors last longer and hold up better. Polished concrete floors are very easy and fast to clean as you just need to occasionally use a damp mop. This type of flooring is also resistant to tire marks and scuffs. When you install polished concrete flooring, you will not need messy coatings and waxes which save time and money. Polished concrete only needs to be refinished once every five to ten years. And there is very minimal time between installation and when traffic can travel along the surface. In addition, its dense surface impedes stains from liquids, chemicals, and oils. Polished concrete has a longer lifespan than other types of materials used for flooring such as upgraded stone tile. There is increased ambient lighting with polished concrete as there is high light reflectivity which is ideal for restaurants and office buildings as it projects a clean, bright, and professional image. The higher degree of shine is much like a polished marble. It also means that less overhead lights are required in a building with polished concrete floors. Polished concrete flooring is a healthy choice. Household dust mites, dust, and dirt, are known to cause respiratory illnesses and can accumulate in carpets and other types of flooring. Tiled grout lines can be an environment for mold, dirt, oils, and mildew which results in bacteria growth. Diamond polished concrete flooring is an unsuitable environment for harmful substances which it makes it a healthy choice as it is easy to clean and maintain, and it promotes an allergy free environment. Polished concrete does not require hazardous coatings, cleaners, or adhesives. Polished concrete is very versatile. Homeowners and businesses can choose their preferred level of sheen from stain to high-gloss that meets their particular requirements. To replicate the color of stone, a stain will be applied to the concrete during the polishing process or polish concrete that has been colored. There are many benefits of polished concrete which makes it a very popular choice for homes and businesses. Today, more homeowners and businesses are choosing to enhance their floors with concrete flooring and expose their current concrete floors. There are many reasons why exposing decorative concrete flooring has become such a trend. For instance, polished concrete floors are the finest flooring choices for businesses and homeowners because of their versatility, aesthetics, and enduring features. This type of flooring imparts an elegant richness and the possibilities of different looks are never ending with polished concrete. It is no wonder why more businesses and homes are choosing polished concrete flooring as an alternative to other types of flooring. Concrete flooring is a designer’s dream since each concrete floor stains differently which allows for creating unique flooring. With various techniques available, the colour palette is immense so your own concrete floor design will be up to your own creativity and imagination. 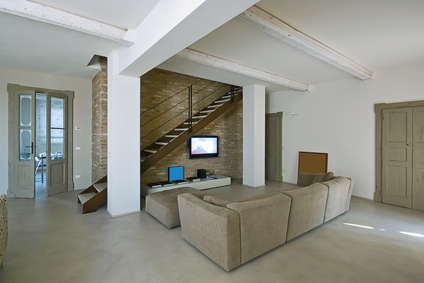 Warehouses and basements are ideal applications for polished concrete. More businesses and homeowners are building basements and warehouses with concrete floors because of its durability, appearance, natural beauty, and easy maintenance. One nice quality about concrete flooring is its hassle-free cleaning which enables dust and other substances to be easily mopped and any spills can be easily wiped away leaving no stain behind, including oil spills. Concrete flooring looks great in homes and condos as the flooring integrates well with home furnishings. Polished concrete floors bring out the splendor and shine of the floor. Concrete flooring brings a unique sense of style to homes and businesses. For those suffering from respiratory illnesses, and individuals who are susceptible to allergies, they benefit from concrete flooring because the floors are not predisposed to vectors causing respiratory illnesses such as dust, mould, mildew, etc. Concrete is referred to as an “uninterrupted” floor which means it doesn’t have seams which helps it to resist damage and the collection of foreign substances. The ease of cleaning helps to ensure the floor stays free of allergens and other particles, and since a finished concrete floor is allergen free, everyone will breathe a lot easier. Manufacturers and industrial builders greatly benefit from concrete flooring such as polished concrete floors as they do not have to deal with waxing and costly epoxies and floor coverings. For retailers, polished flooring is an economical choice as it provides the same look as finish and it is strong and long lasting. The natural color abilities of concrete will enhance any color scheme. Polished concrete flooring is a great choice for businesses who want durability, esthetics, and ease of maintenance as the floors do not have to be waxed on a daily basis which saves time and money. Schools, hospitals, and government buildings are making use of polished concrete floors. It is a highly functional choice and it is very attractive. 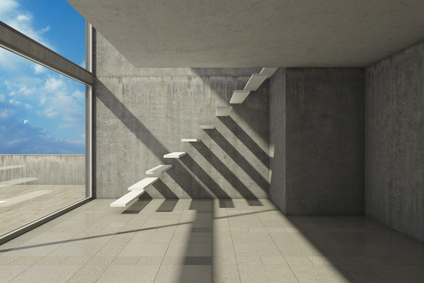 No other flooring material can match concrete’s strength and durability. With the increased knowledge of the benefits of concrete flooring, more homeowners and businesses are now choosing concrete flooring, particularly polished concrete floors, as it is an attractive, sustainable, long-lasting, and an environmentally-friendly building material. An epoxy floor can last a lifetime. Many commercial establishments have seen epoxy floors wear well after years of exposure to grease, salt, sugar, oil and acid, and in hospitals, corrosive body fluids. Paint and sealers are not as effective as epoxy in durability and strength. Epoxy flooring maintains a good appearance much longer, too, because it is nearly impenetrable. The best epoxy flooring is one hundred percent solids and is used in commercial settings. Materials may include marble chips, quartz and recycled glass. Epoxy resin is recommended over acrylics. Organic resins and natural stone are the best choices for toughness. The thickness of the layer may range from a quarter inch to one inch. The mix is waterproof because it adheres to whatever surface it is poured onto. This material bonds with drains, gas lines, plumbing lines and conduits because moisture cannot seep through the finish layer. There are no cracks in the floor by the connecting wall because it is sealed when it dries. The bulk of the floor can be poured in the morning and the finish coat can be added in the afternoon. There are no solvents or harmful fumes and almost no smell during installation, so no one has to leave the area. The glossy finish looks good and protects the floor with nearly zero VOC’s (volatile organic compounds) that are well within federal guidelines. The temperatures needed for installation range from fifty to ninety-five degrees Fahrenheit. Epoxy floors are installed in children’s rooms and bathrooms as well, and the safety level has been adjusted to EPA standards. Epoxy flooring is antimicrobial so it will not transmit germs when properly cleaned. It is easily cleaned by mopping because dirt does not get stuck in cracks, since there are no cracks. Mild cleaning solutions are recommended without powerful acids or alkalis. If it is dangerous for the floor to be too smooth or glossy, grit can be added to the original mix to reduce slipping. Varying amounts of grit are possible, depending on how essential it is to have a nonskid floor. Restaurant floors can be very slick, with grease everywhere, so a grit additive would be necessary. Another point in favor of the strength of these floors is the wide range of temperatures they can withstand. High heat in restaurant kitchens and freezing temperatures are not enough to destroy them. Heavy stoves, ovens and freezers can be placed on these floors without danger of cracking. There are many solid colours and flecked surfaces to choose from, according to taste. Some installers will mix colours and/or flecks to suit the client if the regular choices are not satisfactory. Many different types of homes and businesses use epoxy flooring because it is so versatile in so many ways. There are home epoxy kits, but to insure a guaranteed, desirable outcome, consult the professionals. The actual labour time is about three hours, so it won’t use up anyone’s life savings. Epoxy floors look good and wear well.